Plans change. Death stalks us. People evolve. Dalia had a simple life, a life she loved. Working with the missionary program in Belize City as a translator was everything to her. The idea of returning home to the jungle and her isolated tribe was the last thing she wanted to do. When events forced her return she tried to remain neutral, uninvolved. As destiny called to her, she was left with no choice. Forced to acknowledge that magic and monsters exist, Dalia takes on the legacy that her family was raised for. The ancient Mayan legend forces her to make choices of life and death to save her people. When her only ally, a vampire with a brutal past, refuses to help she must fight to change his mind. 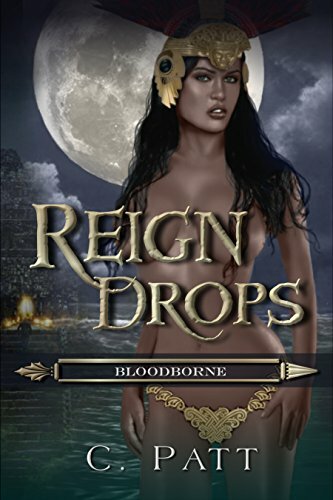 "Reign Drops is a unique melding of fantasy and alternative history. The world building is beautifully done and the characters are intriguing." "As a lover of Mesoamerican culture, I found the Mayan aspects of the story intriguing and refreshing. C. Patt did a remarkable job inter-spicing native lore with the modern tale. I'm looking forward to more in the Bloodborne Series." In all honesty I was reading this book, trying to digest it while many things were going on in my life. It took a while to finish and I needed to go back and read parts to put the story together in my mind. So I hope to be fair in my writing of this review. I was excited to see that this book included a theory of Mayan culture which gives it a different flavor altogether. I enjoyed the role of the women of the Mayan tribe and their dedication to carrying on the tradition set hundreds of years before. The outside education of a female left me somewhat confused as I wondered what the tribe did with those young women after they were educated. Did they return or stay in the mainstream culture? But then I realized I was asking too many questions and just needed to step back, read the book and enjoy the story. The reintroduction of Dalia to her families life style was at times understandable and at others confusing. Definitely a curious setting of modern and ancient culture. 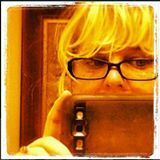 Being educated outside of the tribe in a somewhat contemporary life style was sure to make her return uncomfortable but finding out she was the "savior" spoke about from the ancients had to be an earth shattering revelation. I have to say she met the task head on and put her loyalties in the right place. The writing is easy to digest and well penned. I felt it to be a rather dark tale but the setup eluded to that emotion. Although interesting (I love reading things with Mayan culture in it), it was not a page turner for me. With all this being said I felt it was not bad for a first book and it did leave me with a curious attitude regarding future adventures of Dalia and her tribe. I would pick up the next installment to see what is now in store for this Mayan priestess.